Patrik Burman, Glenn Ikonen, Jalle Jungnell and Anette Wilhelm. 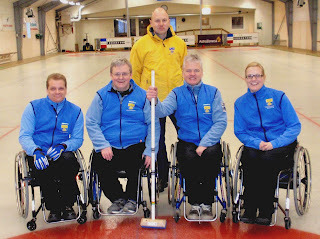 Team Sweden will be bringing three members of the team who won a bronze medal at the 2006 Torino Paralympics. Jalle Jungnell, Anette Wilhelm and Glenn Ikonen are joined by Patrik Berman and new coach Patrik Kihlstrom and arrive in Vancouver on Sunday February 15th.